Registration: Sorry, members only event. Public registration is closed. Join us for an evening of celebration, great food and loads of fun! 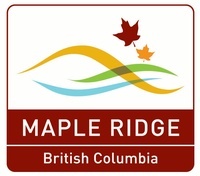 Every year, the Chamber of Commerce helps businesses to grow, across all sizes and sectors in the Maple Ridge and Pitt Meadows communities. Our Business Excellence Awards are just one way that we recognize and reward your success, innovation and hard work. The Chamber of Commerce serving Maple Ridge and Pitt Meadows is proud to celebrate outstanding local businesses, organizations and individuals that make these communities a better place to work, live and play. 2018's Business Excellence Awards will be presented at the Annual Gala on February 23rd, 2019. This event puts the spotlight on many entrepreneurs, companies and organizations that help make our community a vibrant and memorable place to do business. Cash Bar: Please bring cash for your drinks as there will be very limited access to card payment. Seating: There will be assigned seating, if you have a table you wish to sit at, please inform us right away of any preferences. Please note we will do our best to accommodate your request but there will be no guarantees. Allergy Alert: There will be vegetarian and gluten free options; however, kindly inform us immediately if you or your guests have any food allergies. Doors: Doors open at 5:00pm and last call is 10:30pm. Registration deadline is Tuesday February 19th at noon!